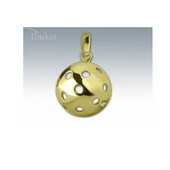 This category contents floorball jewelery of Poukar brand - a great quality and price! You will get a free jewelery box with an original logo and certificate. Floorball players appreciate a blade or a ball, goalkeepers a helmet and floorball girls will marvel at the beautiful earrings or a ring. 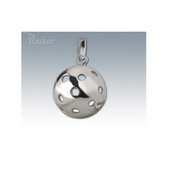 If you are looking for a perfect gift for a floorball player, believe that a floorball jewelery is the perfect choice!